Briefing parliament, PPA’s director said they were asked to help, and had never targeted anyone based on race. The private security company at the centre of allegations that its guards instructed black patrons to leave Clifton beach in December last year today denied the accusations, and accused law enforcement of not stepping up, telling MPs they had requested the firm’s help with policing duties. Briefing Parliament’s environmental affairs portfolio committee, Professional Protection Alternatives (PPA) director Chris Diedericks said there were no beach removals – insisting that on December 23 guards had merely informed beachgoers that it was not safe to be on the coast after dark following violent incidents in the preceding days. “The actions of PPA on 23 of December 2018 were not unlawful, not derogatory towards any political affiliation or race group. In actual fact, they should be applauded for going above and beyond to help our citizens,” Diedericks said. He said several times the SA Police Service and the City’s metro police and law enforcement officials had asked PPA to assist with policing duties. “We would like to emphasise how highly unfortunate the situation is that has escalated to this major political situation due to a misinterpretation of the events. We do not work for a specific political party. We work for the people of South Africa and deliver a service to serve and protect, and this is not political in the least. “It is furthermore unfortunate that law enforcement won’t step up and acknowledge their actions in respect of their request for assistance from PPA,” said Diedericks. 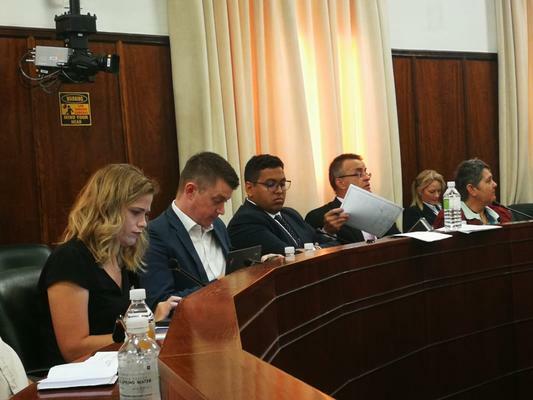 Earlier, lawyer Shehaam Samaai, who was at the beach on December 23 along with ANC Western Cape provincial secretary Faiez Jacobs, told MPs a PPA security guard had told them he was helping law enforcement to do their duties. Both the SA Police Service and the City of Cape Town said no formal agreement existed between law enforcement and PPA and that they had no jurisdiction to enforce the law. The city’s mayoral committee member for community services and health, Zahid Badroodien, said while he would not speak for PPA, the City viewed the aftermath of the incident as political opportunism, lashing out at the the ANC’s Jacobs and accusing him of race-baiting. “What happened on Sunday, 23rd of December was not a race-related incident,” said Badroodien. Senior police officials denied there were a series of violent incidents which preceded the actions of PPA, saying no big cases were reported to the police. “We didn’t have any negative incidents that were a major threat to the safety of beachgoers in the Clifton area,” said deputy provincial commissioner Major-General Hendrick Burger. The Private Security Industry Regulatory Authority (Psira) indicated to MPs their investigation into complaints were still ongoing, while the two security guards in question have been suspended pending the outcome of the inquiry into whether the Psira code of conduct was breached. Psira chief executive Manabela Chauke said four complaints were lodged with regard to “allegations of assault, allegations of unauthorised restraint, and use of abusive language”. “What we’ve done to date is we’ve managed to interview witnesses as well as law enforcement agencies with regard to the matter,” said Manabela.